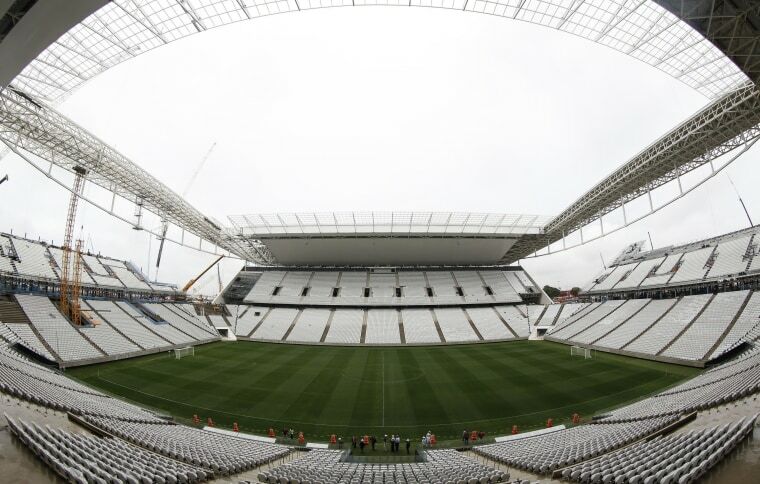 As World Cup fever builds, so do the allegations of fraudulent billing and cost overruns in building Brasilia's World Cup stadium. The exploding costs have made it the world's second-most expensive soccer arena, even though the city has no major professional team, with the cost almost tripling to $900 million, according to investigators at Brasilia's Audit Court. Completely financed by taxpayer funds, corruption claims over the construction fueled massive protests last year, and there are fears they will spill into the Cup itself. Projected transport costs for prefabricated grandstands: $4,700; Actual billed: $1.5 million. $16 million lost when government failed to enforce against one of the construction companies for a five-month delay in building the main part of the stadium. $28 million extra added from wasteful steel cutting practices. Materials worth $2.3 million were listed multiple times on the bills. Claudio Monteiro, the head of the government's World Cup committee in Brasilia that is responsible for oversight, said the audit court's allegations are simply wrong and that all spending on the Brasilia stadium would be justified. "No disservice will be done to the people because of this Cup," Rebelo said in a recent interview at his office. "If any corruption is proven, it will go through our legal system and punishments will be handed out for anyone found responsible."